Choice Privileges has launched new Free Night promotion that is valid for every two stays between April 2 – May 25, 2018. Members will earn minimum of 5,000 bonus points (max 8,000) for every two stays consumed during the promotional period depending on the number of base points earned that is enough for a free stay at more than 1,000 hotels. You can access and register for this offer on Choice’s website here. Note that this offer is only open for Choice Privileges members that have their account address set in the United States or Canada. The two qualifying stays can be worldwide. Not sure why Choice Privileges delayed the launch of this offer (was supposed to launch earlier this month). I guess that better late than never, right? You can earn the bonus unlimited number of times during the promotional period (this was hidden on the FAQ). Registration required at ChoiceHotels.com/freenight before check-out. Promotion is only available to members of the Choice Privileges Rewards Program. After a second qualifying stay with arrival between 04/02/2018 and 05/25/2018, members will be awarded a minimum of 5,000 and maximum of 8,000 bonus points, depending on the number of base points earned from the two (2) separate qualifying stays. These bonus points will allow redemption for a future free night at the 8,000 reward night level at over 1,000 Choice hotels worldwide. A free night at most Choice hotel locations requires more than 8,000 points. A stay is defined as any number of consecutive nights at one hotel regardless of check-ins or check-outs. 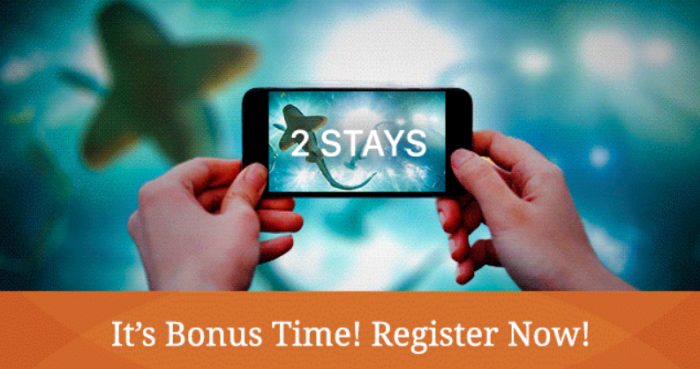 Members must book stays via ChoiceHotels.com, the Choice Hotels mobile app, or 800.4CHOICE at qualifying rates. Corporate travelers may book through their online booking tool, GDS, or with a travel agent. Choice Privileges member number must be provided upon check-in. Stays at vacation rental property locations and stays booked with the SEGEN and SRTLG rate codes do not qualify for promotional bonus points. To be eligible to earn the bonus, members must set their earning preference to Choice Privileges points in their online account. Any change made to earning preference will remain in effect after the promotion has ended. Allow 72 hours from check-out for points to post. Requests for bonus points made by members who did not register for the promotion will only be honored up to 60 days after the promotion ends; requests thereafter will be denied. You must maintain an address in the U.S. (including U.S. territories) or Canada to be eligible for this promotion. Choice Hotels reserves the right to amend these terms or terminate this promotion at any time. Hotel participation may vary. For Choice Privileges program details, eligible rates, eligible countries and point redemption rules, visit www.ChoiceHotels.com/CPrules. Hotels are independently owned and operated. **Some benefit options such as the Amazon.com credit, coffee gift card, Uber trip discount and Fuel Rewards® savings, are not available at all Choice Hotels® locations. May only be earned for qualifying stays that include at least one Sunday through Thursday night in each stay. U.S.-based members have the option of selecting one of the following: 400 Choice Privileges® bonus points, 100 airline miles (from participating airline carriers), $0.20/gallon in Fuel Rewards® savings, $2.50 Amazon.com credit, $2.50 Uber trip discount or $5 coffee gift card.